You’d like to think that your musical tastes are fair, pure, and shrewd. You’d like to believe that you simply have an ear for good music and that if you applied a controlled, peer-reviewed scientific protocol for evaluating a song and deciding whether or not it’s worth ninety-nine cents to you, you’d find that the same input data would draw the same results every time. You’re not swayed by the fads of the day or by whatever mood you happen to be in at the time. But of course, that’s rubbish. The tracks in your music library are the residue of that one specific moment in time when the song seemed to make sense to you. If you’re lucky, most of those tracks will continue to justify their places in your playlists and they’ll receive continued play. Inevitably, though, you’ll find yourself scrolling through the whole library and asking yourself “Why the hell did I buy this Celene Dion track?! ?” and then the whole Incident will come rushing back to you. See what I mean? Facebook and Twitter and the rest aren’t inherently good or bad. I reckon that most of its users regard it as simply part of a balanced breakfast of social interactions. Facebook is the bowl of Choc-O-Berry Cookie Blasters in the middle of a tray of fruit, milk, juice, whole-grain toast, and a small plate of liver. But too many people use it as a shabby, last-ditch outlet for the fundamental human need to say things and feel as though people are listening to you. Nobody knows your name at work and you’re certain that if you quit today, the new guy could sit through a training video and then do your job just as well. Or maybe you’re a kid, and your older sister with the drug problem and your younger brother with the good grades get all of your parents’ attention. Whatever: Nobody ever interrupts you on Facebook. And at any given moment, no matter where you are, you can thumb a few buttons on your phone and see that there are 18, 32, 71, 139 people listening to everything you say. That’s not really a good thing. “I want you to notice when I’m not around” is the line in the song that resonates so well with how social networking can be abused. Virtual communities are so attractive because they’re just so easy. You might even have 100,000 Followers on Twitter. That’s a thrillingly high number and isn’t it lovely that they sometimes say nice things to you? But what have you done for them? Aha: that’s the point. These people notice when you’re not around and they make you feel Special. But they’ll never phone you at midnight to ask if you could meet them at a parking lot 40 miles away and jump-start their car. They’ll never ask you to help them move. They’ll never come to you for support when someone they love is terribly sick and they’re scared. You’ll never be required to sit on the opposite side of a table at a restaurant and help them walk through a decision to end a relationship that isn’t working out. When you’re in the middle of doing nothing at all, do you find yourself thinking about these people? When you say or do something selfish via Facebook and you wind up hurting someone — and it doesn’t matter that you were simply careless and thoughtless — do you have to acknowledge your actions and deal with the consequences? World Of Warcraft allows you to battle powerful people and creatures in close combat. But it’s all fake; there’s no chance of getting hurt. Facebook is a fantasy game of a different sort. It simulates social interaction, while removing all of the personal risk as well as most of the consequences of your behavior. That’s what makes it such a shabby substitute for the real thing. It’s not enough to want others to notice you and hear you. The goal is to give as good as you get. The movie trailer brought “Creep” back to my attention at a time when that kind of song wasn’t part of a popular trend. I think my larger problem, though, was with the song’s original arrangement. It was laid out like a traditional rock song, which didn’t work for me. You can’t sing about how lonely and cut off from Society you are when you’re clearly surrounded by musicians and standing in front of 3,000 screaming fans, can you? Further, it’s too aggressive. The lyrics are profoundly self-loathing and the anger should be all inward, not out. I much prefer the solo, acoustic version, which came out on a reissue of “Pablo Honey” recently. This one comes across more like a problem that the singer thinks he’ll never solve, as opposed to the reason why he ordered all of those guns off of the Internet. This third version in the “Social Network” trailer is haunting. Despite my earlier protestation that this song shouldn’t be performed by a whole band, “Creep” displays some powerful shading when it’s sung by a choir of young women. One person singing about loneliness is sad. A dozen or two people singing those lyrics at the same time can be profound. It illustrates the irony of the problem. Your feelings of being completely disconnected and cast out from society only underscore how human you really are. Everybody feels that way. 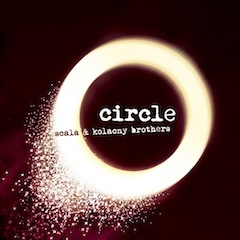 Listen to “Creep” by Scala and Kolacny Brothers on Amazon MP3. As always, the above link is embedded with my Amazon Associates ID. If you click it, any purchases you make during that Amazon session will result in my receiving a small kickback in the form of Amazon gift credits. I swear to God I won’t spend them on anything necessary or sensible.